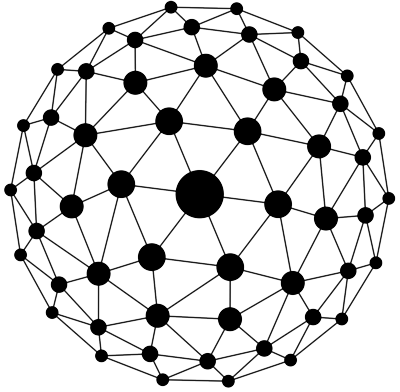 The basic structure of the generative visuals for the group NAFF Chusma is a 3D Sphere. The sphere is formed or destroyed by amplitude and frequencies obtained by extracting audio information using an audio analyzer. The 3D sphere is created by the following formula. The particles’s positions are initialized around the circumference of an imaginary 3D sphere. This sphere is located in the center of the 3D space. The particles has two types of forces repulsion and attraction. The center of the imaginary sphere is a the global attraction, where all the particles can either be attracted to the center or be repelled away from it. Depending on the a specific frequency the particle can be attracted or repel away from the center, which is done by extracting musical information in real-time. Each particle has a weight value, this condition means that the particle can have a strong repulsion or a weak repulsion.